Do you want to experience extraordinary health and wellness? Do you want to reach your fitness and weight loss goals? Alkalife provides you with a daily dose of alkaline mineral supplementation that promotes peak body performance and ultimate well-being. One bottle of Alkalife creates 360 8 oz. 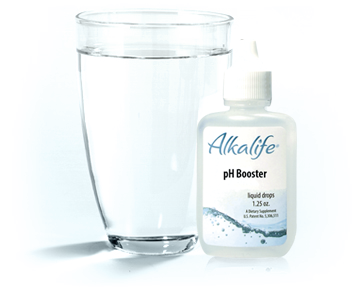 servings of fresh alkaline water with a pH value of 10. Taken 5 times daily, that works out to more than 2 months of Alkalife per bottle at a cost of only 42 cents per day! "Faster recovery, more pH balance in the body – all of those things, from an athletic standpoint, are things you want. Alkalife gets me back on my feet and makes me feel younger." "Alkalife is the only pH adjuster I have used that works ... I don't go a day without this product." "It was my fitness coach who first recommended Alkalife drops to me. They are so easy to use and very affordable, and I'm very pleased with the results." "Really works! Change your water, change your life."